Leaves are falling, days are growing shorter, and everyone is overeating. This can only mean one thing - the holiday season is here! And with it comes a host of opportunities to engage users and boost mobile sales. We’ve compiled this guide to help you stand out and increase your incremental revenue during this hectic, lucrative time. The first big engagement opportunity is the day after Thanksgiving or “Black Friday”. In the US, this day signals the start of the Christmas shopping period. The concept of Black Friday has spread globally in recent years, and is now apparent in EMEA and has equivalents in APAC (Singles Day in China, for example). Expert predictions for 2018 indicate that online sales during the holiday period could grow between 13.5% and 22%. However, the mobile industry needs to make some key preparations in order to earn its fair share of these online sales. Mobile apps have an 81% cart abandonment rate, amounting to $4 trillion dollars worth of merchandising left in shopping carts. Start running campaigns early to ensure that your optimization is at full potential before the holiday season kicks in. A recent study by Nanigans, which surveyed 100 major retailers about their plans for digital advertising during this year’s holiday season, found that 25% of holiday advertising budgets would be spent by Black Friday, with 94% of retailers starting campaigns by early November. In the case of app retargeting, a successful campaign can require several iterations before it is fully optimised, so the earlier you can start the better. Shout about it The best way to push conversions is with a clear, well-timed offer or discount. So if you’re offering something special for Black Friday be sure to show it loud and clear on the creative. Pay attention to your microcopy You know your audience better than anyone. Take time to think about the precise tone and wording you feel will engage them. Ask yourself how you can create an emotional connection with your users. Go Dynamic Going dynamic is the key to ultimate relevance during the holiday season. Take advantage of our dynamic ads setup and templates and your ads will always display the most up-to-date information on pricing and available products. These real-time updates mean ensure that the right content is delivered to the right user every time. Deep links are crucial for reducing friction during the holiday season. Deep links enable you to direct users to a specific point within the app, such as the purchase or subscription page. They are a vital component of a good user experience and their relevance is not confined to transactional apps. Verticals such as gaming, travel, and entertainment will find that deep links improve engagement and enable users to move fluidly through every stage of the app. The key to driving holiday revenue is knowing what users want and showing them ads with those precise products. This is achieved with a product recommendation engine that predicts what a user is likely to buy next based on what they’ve bought previously. If users are looking for a product in the lead up to Black Friday, you can start sending them ads for products that are similar or related. 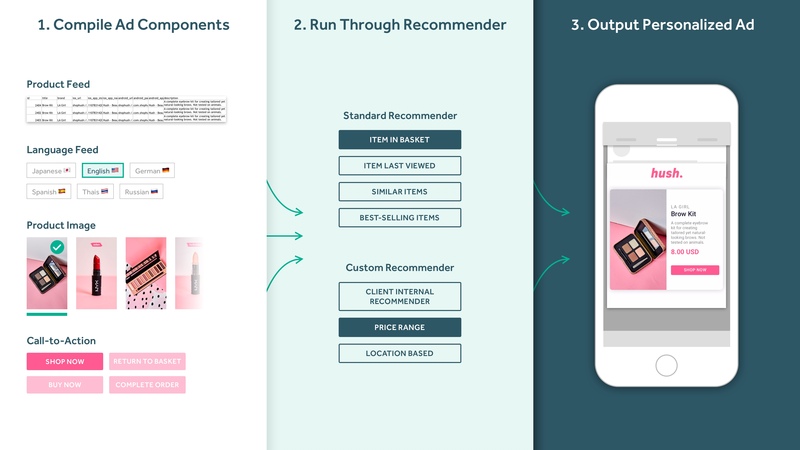 In a Product Recommendation Engine, existing user data is analysed to identify related purchases, eg. users who buy a pen are then likely to buy a notebook. This is then used to show users related purchases. In their report on how seasonality affects apps, Adjust noted that there wasn’t much variation in volume of sessions for e-commerce apps month-to-month. This indicates that, while the boost during the holiday season should be harnessed, it is also vital to maintain consistency in marketing and retargeting efforts once the holiday season has passed. Ensure you have new creatives ready for after the holiday season and make the most of low CPMs in January. As we’ve said, when it comes to retargeting for the holidays, there’s no time to waste. Contact us now to get your retargeting campaigns ready for the holiday season.